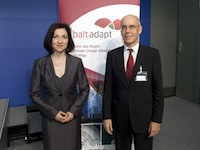 The Baltadapt Strategy and Action Plan as well as all other results of the project were driven by a broad consultation process among relevant policy-makers and stakeholders during Baltadapt conferences, policy fora and stakeholder workshops. Also the internal partner meetings were important milestones on this way. Our communication partner EUCC-D maintains a comprehensive database on world-wide coastal and marine meetings, conferences and workshops. 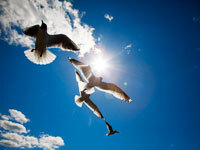 All events have applied or management aspects and many of them are related to climate change adaptation. 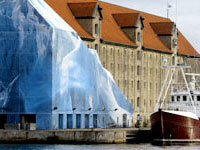 This section contains an archive of various past events related to climate change adaptation. Many of the events were used as a platform by Baltadapt partners for presenting the project and receiving input from a broad range of stakeholders.